Thanks to a wonderful boyfriend who knows buying me cooking utensils will let him reap the rewards, I received a crock-pot for my birthday and a new cookbook, Slow Cooker Revolution by the America’s Test Kitchen team. I’ve been wanting a slow cooker for awhile mostly because it would help move our dinner times from 9 pm back to a normal-ish 7 o’clock hour. Cooking on low for 10 hours means I can plug it on on my way to work at 7 am, and have a nicely cooked roast waiting for me by 5. 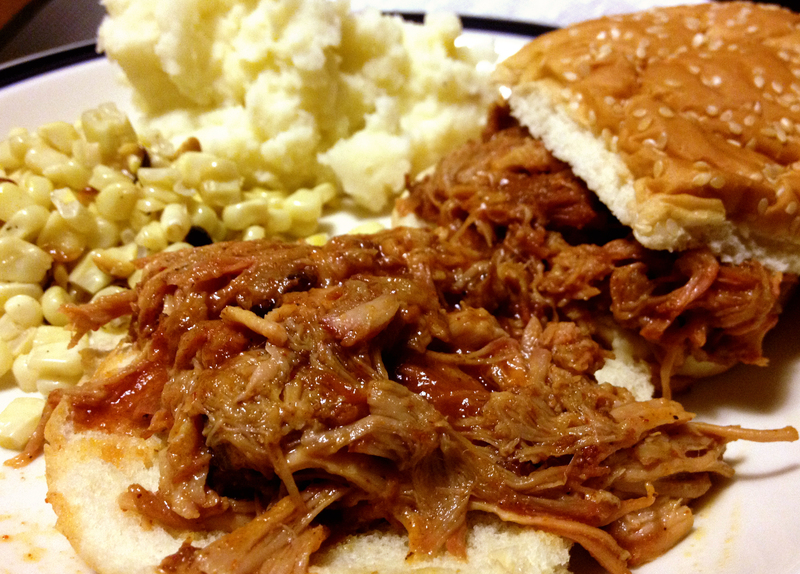 The first recipe I wanted to try, though, was a simple pulled pork. I’ve loved ATK’s recipes in the past, and have all their PBS episodes taped on my DVR. Their attention to detail when creating the recipes is almost a guarantee that they’ve tried all the options, and this is the best. That being said, I do try to limit the amount of fat included, and I’ve adjusted the sauce more to my taste than to a traditional ‘North Carolina’ vinegar-rich recipe they suggested. Combine 1.5 T. brown sugar, the paprika, chili powder, cumin, salt, and pepper. Using a fork, prick the pork all over and rub in marinade. Wrap pork tightly in plastic wrap and refrigerate overnight, up to 24 hours. Place ham hocks in slow cooker, and the pork on top of them. Pour broth over the meat and cover. Cook 9 to 11 hours on low. Transfer pork and hocks to a large bowl and let rest for 5 minutes. 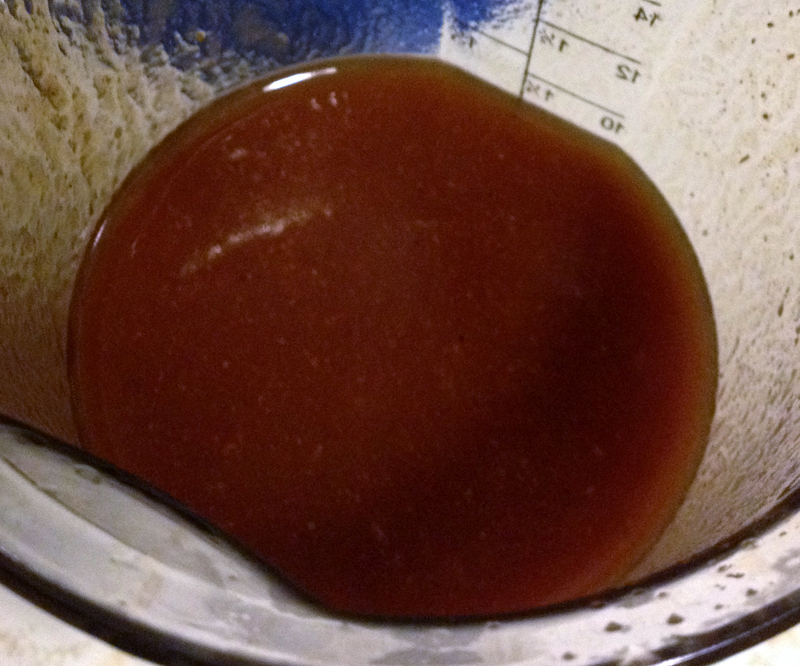 Strain the braising liquid into a fat separator. Let settle for five minutes, then remove the fat. Simmer in a saucepan for 30 minutes until liquid has reduced by half, or around 1 cup. Whisk in vinegar, ketchup, liquid smoke, and 1.5 T. sugar. Season with salt/pepper to taste. As sauce is simmering, take two forks and shred the pork. Remove all fat, skin, and bones as you work. When sauce is finished, pour over meat and serve.